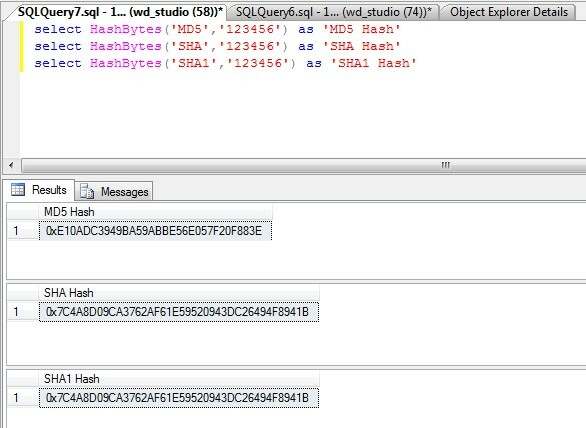 This article shows SQL statements that encrypt an input string by using MD5/SHA/SHA1 algorithm. 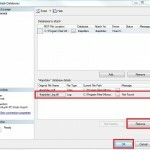 And you should play with these SQL statements in the Microsoft SQL Server Management Studio (New Query) to see the results. 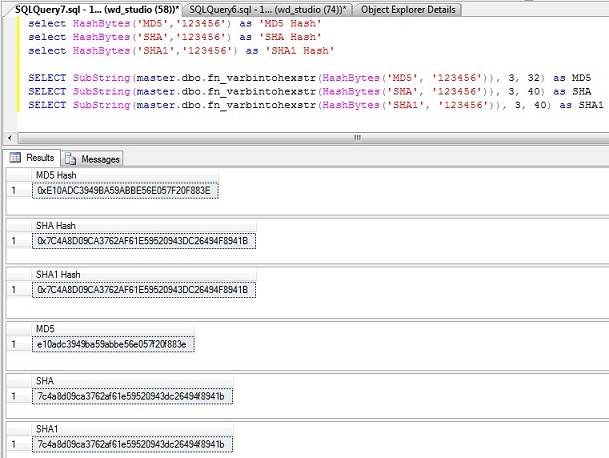 SQL statements below returns the MD5, SHA, SHA1 hash of ‘123456’ string. Note: in order to verify the MD5 result, you can use the Online Tool MD5 Generator.